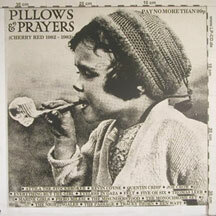 The Pillows & Prayers video was released a few years after the album, and provides the main focus of the DVD. Many of Cherry Red's most popular acts are featured, including Everything But The Girl, Eyeless In Gaza, The Monochrome Set and the Marine Girls. There are also three bonus tracks, not included on the original video release and featuring original promo material from Medium Medium, Eyeless In Gaza and The Monochrome Set. The bonus material also includes a fascinating interview with the people behind the original Pillows & Prayers concept, Cherry Red Records founder Iain McNay and A&R man Mike Alway, who provide a great insight into the early days of the label.